I am in love with this easy at home peel! 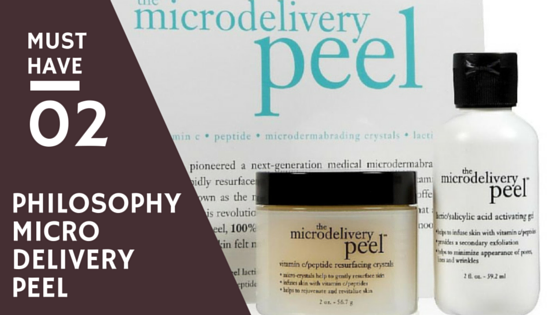 The Philosophy Microdelivery Peel has made it into my beauty bag product must-haves for 2016! No wonder this product made it into the Best of Beauty Allure 2014. After trying this two step treatment once, I could tell a major difference. I discovered the micro-delivery peel when I was searching for an at home treatment to get rid of these small little bumps on my neck (hormonal milia). This product sure did do the trick, all the while enhancing my natural glow. You can find this lovely resurfacing peel at any Sephora.